John Conroy read in the newspaper about the strawberry auctions. He was young at the time, but remembers the great fanfare as the first strawberries of the year were haggled over, and bought up by the city’s top-end hotels, by the Gresham or the Shelbourne, he says. Strawberries were only available in season back then. “Strawberries were a real treat,” says Conroy, a local historian. In 1983, the Irish Press reported that the strawberries went for £52 each, the half-pound punnet sold for a record £520. This would be the equivalent of about €4,000 today, says Conroy. The buyer didn’t just get the strawberries, though, they also got the publicity. The auctions always took place in the Wholesale Fruit and Veg Market on Mary’s Lane – as did other auctions, every morning throughout the year, of ordinary vegetables. 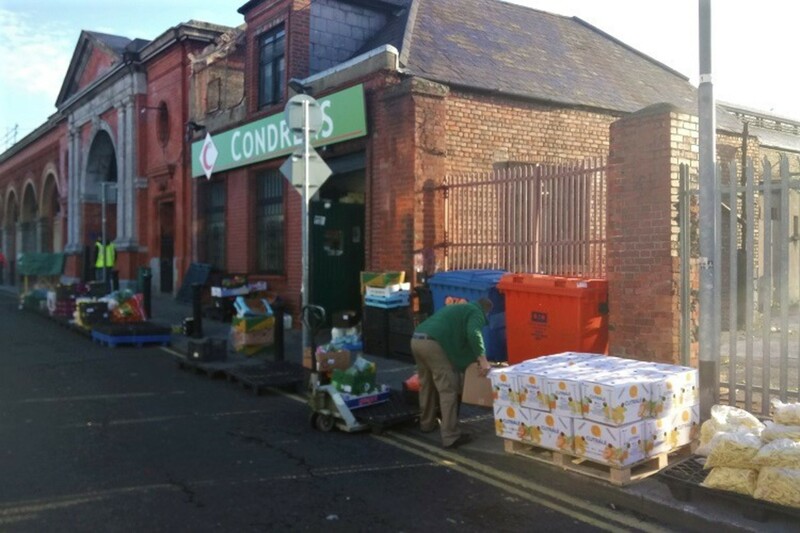 Conroy started to look into the Wholesale Fruit and Veg Market on Mary’s Lane as a project for Dublin Corporation, as the council used to be known, where he worked at the time. A group of them were set a challenge. Find and research something that hadn’t been written about, they were told. Since then, he has spent years scouring through council records and interviewing those who have worked in the market, gathering their accounts in an effort to document the social history of the red-brick building. There are still questions he hasn’t been able to answer. Little mysteries he hasn’t yet solved. Such as when the electricity was first connected, or when the first and last of the strawberry auctions took place, or why there are plaques with measurements in the concrete floor. But there is a lot that he has uncovered. In the market, on the Mary’s Lane side, Conroy steps to his left to avoid a forklift. “The forklifts used to fly up and down but there is no evidence of an accident ever taking place,” he says. The red-brick market was built in 1892. The roof was innovative at the time, as it is designed to keep the place and produce cool while letting in light. This was before refrigeration. The roof design is called the shed principle or the ‘saw tooth’ system and reputedly invented by british Architect William Fairbairn, he says. “You can probably feel the chill now,” he says, despite his woolly grey cardigan. It is cold inside and a warm day outside. Originally, the building was also the fish market. The walls are decorated with terracotta fish, vegetables and fruit, supplied by Ruabon, a company run by the industrialist Henry Dennis. The steelwork was done by Lysaghts of Bristol, whose plaque also marks the year, 1891. At the time, throughout Dublin and other cities, hygiene was a big issue. The “horses would do what horses do and nobody would care that that was getting mixed with the vegetables”, he says. So the banks were built about six inches higher than the road within the market. The difference is not as sharp now, as the road has been paved over several times, he says. At that time, it would have been cobblestone. Soon after, in 1897 a new fish market was built opposite, on St Michan’s Street, to accommodate the growing traffic and produce. “It was so successful, they actually made money on it and they had to put on extensions to it and markets grew up around it,” he says. The superintendent lived next door and would have opened the market at 5am for deliveries, says Conroy. Selling would have started soon after. “Its not like it used to be,” says Anna Lawlor, a well-dressed lady with full make-up, as she makes her way through the market. She used to be a trader here, she says. “It’s quieter now, but farmers would be queued up out there,” she says, pointing to the large entrance on the city-centre side of Mary’s Lane. They would come “in their horse and cart with mountains of carrots and turnips”, she says. She remembers the chicken market, Cartans, across the road where Sam Dennigan and Co. is now. There was a turkey market nearby too, with massive queues at Christmas time. Market-stall holders from across Dublin came to buy for their stalls here, she says. Be it second-hand clothing, flowers or food. “This is where all the stuff came from,” she says. As at all good markets, there was a black market here – which Conroy says focused on tickets for sporting events in Croke Park or Dalymount. The touting was “accepted by customers, but constantly the bane of the local police”, he says. These activities provided the inspiration for a comedic play called The Daisy Market, which would have been performed in the Olympia, he says. It centred on the conflict between “a culchie guard and the cute Dublin market workers”, he says. Each year, Conroy takes hundreds of people around the markets on tours. Sometimes, he learns nuggets of history that he hadn’t known, as locals share their memories and stories. 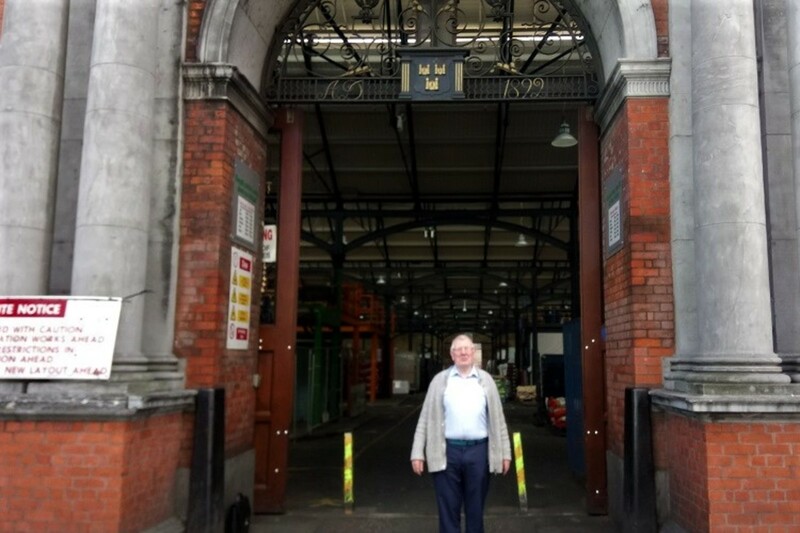 This year, he’s set to offer free tours all day on 14 October, he says, to anybody who wants to find out more about the history of Dublin’s wholesale markets. 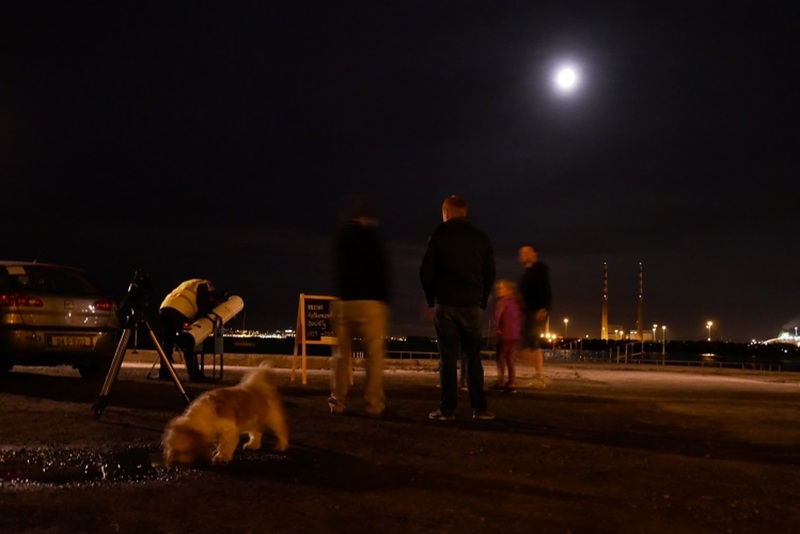 It’s part of the Open House Dublin programme, organised by the Irish Architecture Foundation. 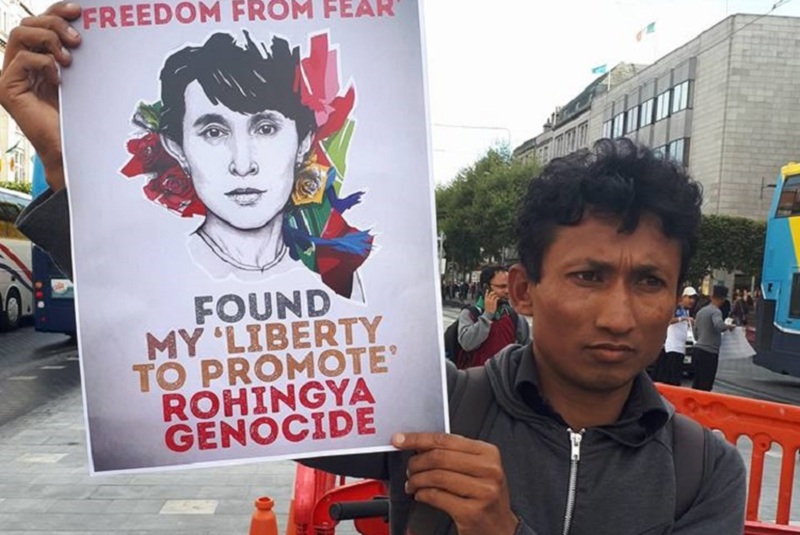 But his research is not done, he says. 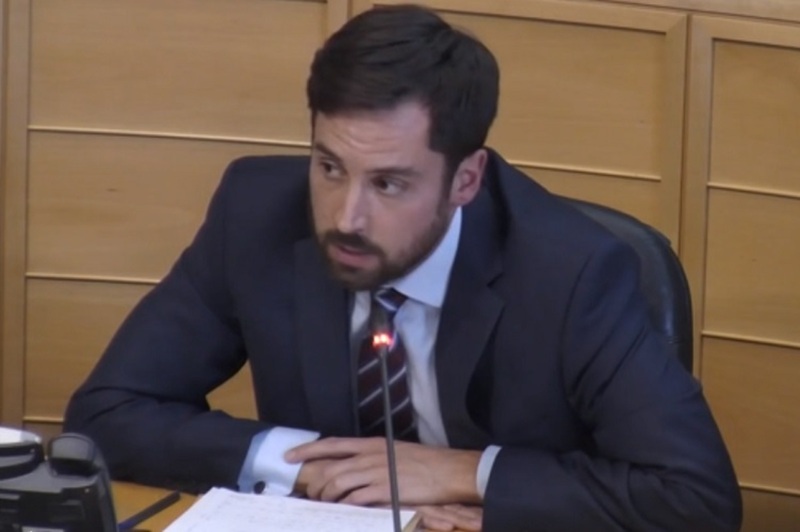 He continues to sift through records of council meetings, of the markets committee in particular, the main written source he has found. On the way out, he points to brass plates in the ground, that read “66 feet, 100 links”. Another past discovery. Chains were made to a standard size back then, he learnt. “A chain was 66 feet long and every link was one-hundredth part of that,” he says. He whips out a measuring tape and gets me to hold it at the brass plate and starts to measure, roughly marking the spot with his foot and we edge along. When we reach the end of the building, it adds up to roughly 66 feet. But why did they mark it? he wonders. 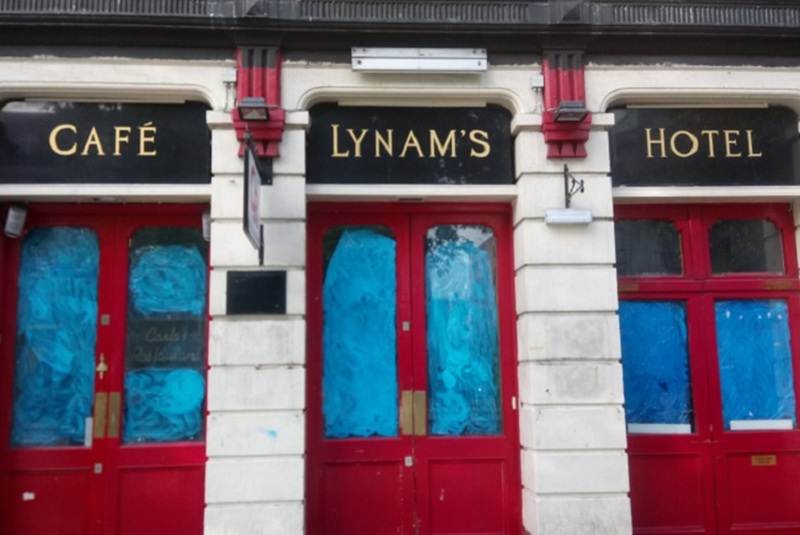 Lynam's, Revisited: Were Councillors Told the Full Truth?